Though we might not always see eye to eye the Americana Music Association know how to put on a party. 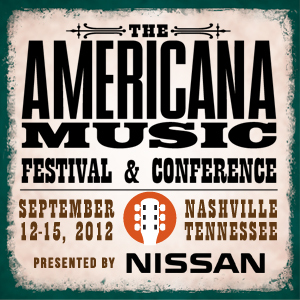 The Americana Music Festival & Conference is annually held in Nashville and this year will mark it’s This 13th year. Each year it occurs in Fall and this year it will run September 12-15. The event has loads of the best Americana music, media and industry people you could ever care to meet. All that and somehow they keep letting me back in! Be sure to keep your eye on the Americana Music Association official site for more additions and information. I wonder if this will be broadcast in Canada. I would enjoy hearing some real music.